BREYNTON, JOHN, Church of England clergyman; baptized 13 April 1719 at Trefeglwys (Powys), Wales, son of John Breynton; d. 20 July 1799 in London, England. After receiving his early education at Shrewsbury School, John Breynton was admitted to Magdalene College, Cambridge, on 5 March 1738/39. He graduated with a ba in 1742. That same year he was ordained and entered the chaplaincy service of the Royal Navy, serving in the Suffolk in 1742, the Deptford in 1743, the Prince Frederick in 1744, and the Norwich in 1745–46. On 22 May 1746 he arrived at Louisbourg, Cape Breton Island, in Charles Knowles’ small squadron and remained there as deputy chaplain to the garrison until the evacuation of the fortress in 1749. He returned to England and the following year received his ma from Cambridge. 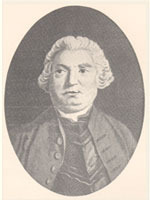 Leaving the navy, Breynton entered the service of the Society for the Propagation of the Gospel on 17 April 1752 and was sent to Halifax, Nova Scotia, to replace William Tutty*. When he arrived early in October he found Thomas Wood already there, and the presence of two missionaries in the same parish caused some difficulty. The situation between them was not finally regularized until 24 Sept. 1759, when Governor Charles Lawrence* appointed Breynton rector, and Wood vicar, of St Paul’s Church. In Halifax Breynton found a settlement of about 2,700 people, most of whom were listed as members of the Church of England but among whom were many dissenters from New England. Breynton’s relations with the dissenters were cordial throughout his ministry. He learned German sufficiently well to be able to preach to the members of the little Dutch church in Halifax, and when they had no minister he served them as diligently as he did his own congregation at St Paul’s. Both he and Wood extended their ministries beyond Halifax as far as Annapolis Royal. The expulsion of the Acadians in 1755 and the subsequent arrival of the New England planters opened up a further field for their missionary endeavours. By 1769 Breynton was beginning to feel his work heavy on his shoulders. On 16 Jan. 1769 he wrote to the SPG requesting permission to visit England the following year, but it was not until 1771 that he was able to go. On 16 April of that year he was granted the degree of dd by Cambridge on the recommendation of influential friends in Nova Scotia. He returned to Halifax in 1772. Writing to the SPG on 2 Jan. 1776, Breynton advised of “the breaking out of the Small Pox amongst us last Summer.” “When that Distemper . . . began to Spread,” he wrote, “I applied every Effort to promote Inocculation, preached a Sermon upon the Occasion and raised a Subscription towards Inocculating the Poor & I flatter myself I have been Instrumental in Saving Many Lives in this Province.” The colony’s difficulties were increased in 1776 by the unexpected influx of refugees who had accompanied Lieutenant-General Sir William Howe’s troops from Boston. Their arrival placed a severe strain on the limited resources of the citizens of Halifax, and friction developed between the old and the new inhabitants. Breynton did all he could to reconcile the two factions, and he was especially helpful to the loyalist clergy. Jacob Bailey* was one of those who bore testimony to his kindness in letters to the SPG. Physically worn out by his efforts, on 13 Jan. 1777 Breynton applied to the SPG for leave to go to England when peace was restored, but he was refused permission. 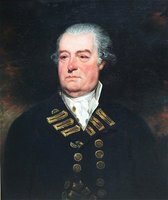 After several subsequent requests he eventually left in the summer of 1785 and remained on leave of absence until 1789. It is stated that he had hopes of being nominated bishop of Nova Scotia, for which ambition he had many influential backers in the province. 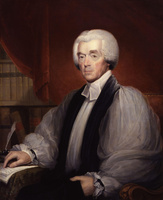 Disappointed in his hopes, since Charles Inglis* was named bishop in 1787, Breynton resigned his mission in 1789, and through the efforts of the SPG he applied for and received a pension from the Archbishop Tenison Fund. He was eventually replaced as rector of St Paul’s by Robert Stanser*. During his years in Nova Scotia Breynton had held a number of offices and chaplaincies. As a result he has acquired a reputation for greed, but his various perquisites were not considered unusual at the time. It is not certain, moreover, that he had received any salary during the early years of his ministry. Before his arrival in Halifax Breynton had married Elizabeth – , and they had seven or eight children. On 6 Sept. 1779, a year after his first wife’s death, he married in Halifax Mary Cradock, the widow of Joseph Gerrish, and she accompanied him to England in 1785. At his death in London at age 80 Breynton was buried in the churchyard of St Mary’s Church, Paddington Green. National Library of Wales (Aberystwyth), Trefeglwys parish registers, 1695–1723, III, f.14. National Maritime Museum, RUSI/NM/ 137 a & b, List of chaplains of the Royal Navy, 1626–1916, by A. G. Kealy. PANS, RG 1, 19, no.16, Knowles to Newcastle, 8 July 1746. PRO, Adm. 6/6. University of Cambridge, Magdalene College (Cambridge, Eng. ), admissions registers, no.3 (1716–1894), p.31. USPG, B, 20, pp.7, 25; 25, nos.135, 202, 212, 239; Journal of SPG, 12, p.136; 28, p.246 (mfm. at PANS). Alumni Cantabrigienses . . . , comp. John and J. A. Venn (2 pts. in 10v., Cambridge, Eng., 1922–54), pt.i, I. R. V. Harris, The Church of Saint Paul in Halifax, Nova Scotia: 1749–1949 (Toronto, 1949). C. F. Pascoe, Two hundred years of the S.P.G. . . . (2v., London, 1901). A. W. H. Eaton, “Old Boston families, number two: the family of Capt. John Gerrish,” New England Hist. and Geneal. Register, LXVII (1913), 105–15. C. E. Thomas, “BREYNTON, JOHN,” in Dictionary of Canadian Biography, vol. 4, University of Toronto/Université Laval, 2003–, accessed April 24, 2019, http://www.biographi.ca/en/bio/breynton_john_4E.html.